Your teeth are susceptible to damage from grinding or impact. Tacoma Dental Centre offers sports guards and bite appliances to comfortably protect your teeth. Sports guards should be worn by anyone who plays high impact sports such as hockey, soccer, or lacrosse, whether they're a child or an adult. However, your teeth can be injured in almost any active sport, such as skateboarding or rollerblading, so you or your children would benefit from regularly wearing a guard to protect your teeth. 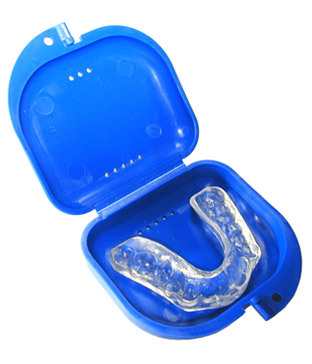 Our sports guards are custom made to fit and protect your teeth, comfortably. Grinding your teeth at night ("bruxism") can wear down or loosen your teeth over time, leading to serious damage. You can prevent the damage to your teeth from grinding by protecting them with a bite appliance, a custom made device that fits over your teeth and protects them. Protect your teeth from damage caused by injury or grinding by contacting us today to set up an appointment.